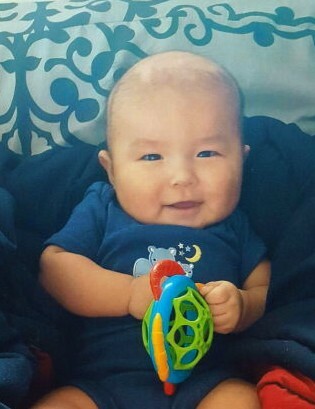 It is with great sadness that the family of the late Layne Sakebow announce his passing on August 4, 2018 at the age of 5 months. The wake service for Layne will begin on the evening of Wednesday August 8, 2018 from the Pelican Lake First Nation Band Hall, Pelican Lake First Nation, SK. The funeral service will be held on Thursday August 9, 2018 from the Pelican Lake First Nation Band Hall, Pelican Lake First Nation, SK at 2:00 pm. Interment will follow at the Pelican Lake First Nation Cemetery. Family and friends desiring to send online condolences are welcome to visit www.beaulacfuneralhome.com. Arrangements have been entrusted to the care of Beau "Lac" Funeral Home, Mark Muir, Funeral Director, Spiritwood (306-883-3500).